It's not hard, at my age, to remember Chernobyl. Even from the deep south (New Zealand), it was a major incident, with a radioactive cloud flowing over western Europe. Nothing this major has happened since - tho the Fukushima Daiichi nuclear disaster after the Japan earthquake is a close second, tho some argue it may be worse. Leonie also has a lot of pictures up. I especially love her one of the bumper cars. There has been a lot written about what happened - the Wikipedia pages are plentiful and well written, and there are a number of good documentaries around. The BBC has a good, recently study on it. 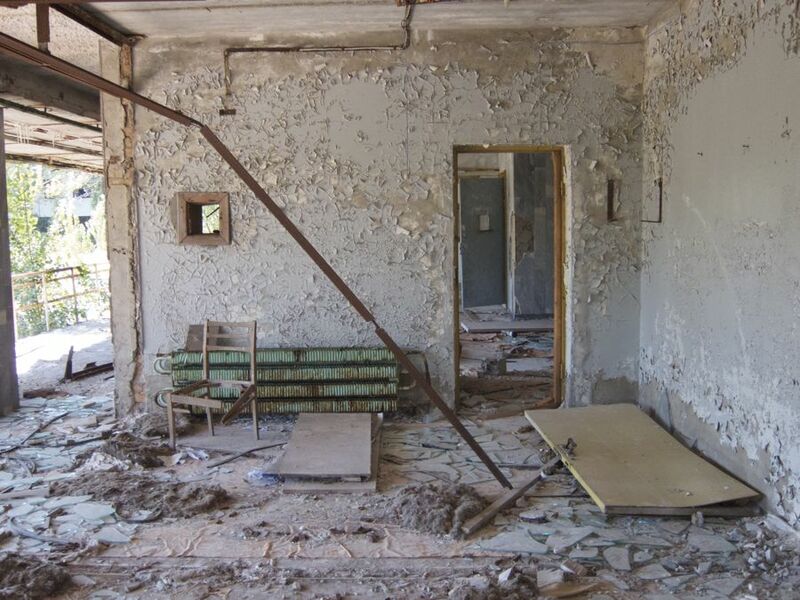 Visiting Chernobyl has always been a "bucket list" thing for me. I love the "wabi-sabi" aesthetic: the look of things which are transient, changing into something else, or back into their original state. 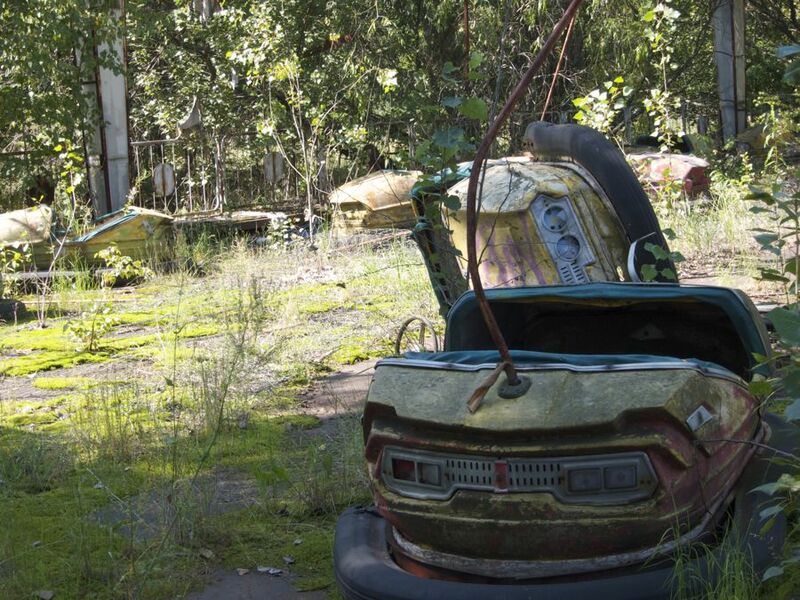 That was a major draw for visiting Pripyat: what would a town look like if humans had been removed for 25 years? How would nature take hold and reclaim it's previous state? When my friend Beren said he was organising something, I jumped at the chance to go. I was not disappointed. 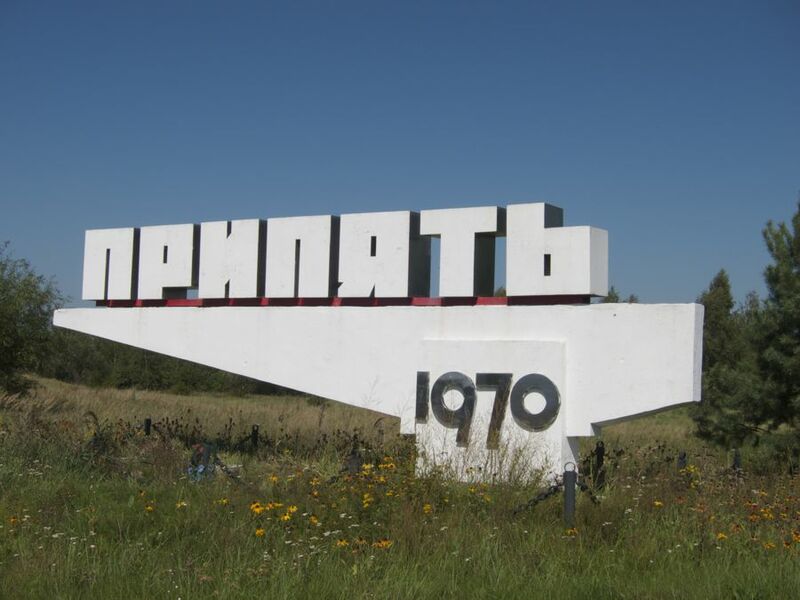 The town of Pripyat was where most of the workers and their families lived. It was home to around 50,000 people at the time of the disaster. The town has the feeling of somewhere which was left in a hurry - which it was. It's not spooky anymore, but it is quiet and broken. There are no windows, a lot of the parquet floors are broken up, and in a number of places, the wooden floors are starting to disintegrate. But mostly, nature is taking over again. Tree's are growing in and around the dive well. Mold, moss and other life forms are all over the walls, and we were told that Boar, Bears, Wolves, Deer and the almost extinct local Horse have all come back in fairly large numbers. People are still around, but they don't stick around - it's just to look, or work around the reactors. Nature is left pretty much alone. It feels like that too - like we were gatecrashing something else's party. 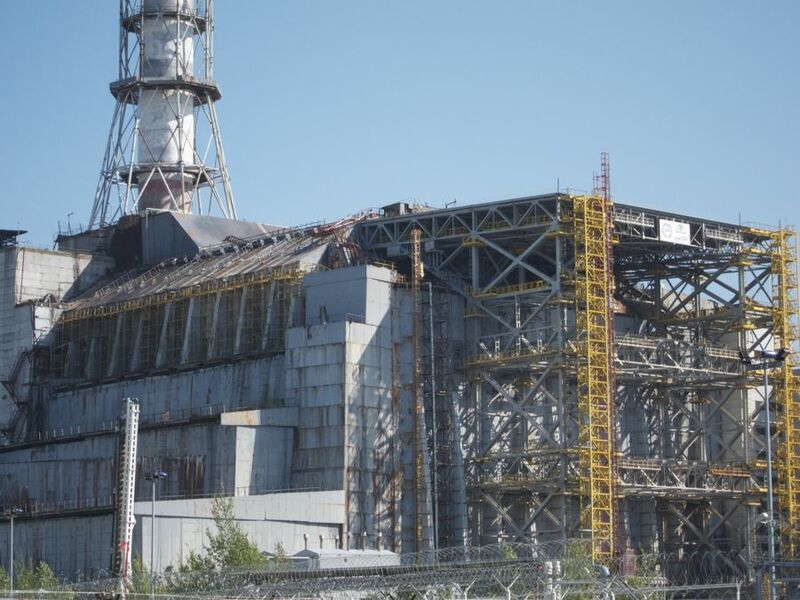 The Chernobyl power plants were only just starting their life when the disaster happened. 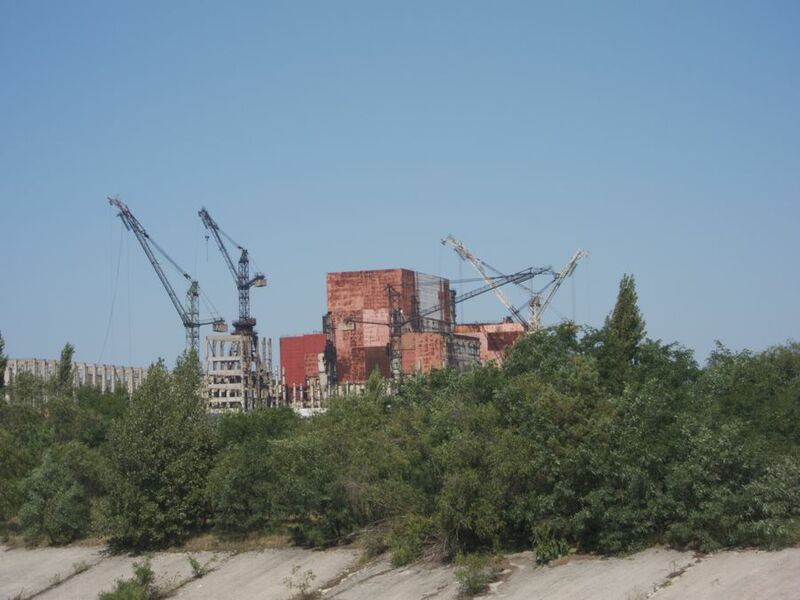 There was plans to build 12 reactors on the site, each one able to produce around 1GW (1000 MW) of electricity, and the 5th one sits partly built, with the cranes still there, waiting to finish it. But despite the scale of the disaster, the remaining 3 operational reactors still continued to produce power for nearly 20 years after the accident. 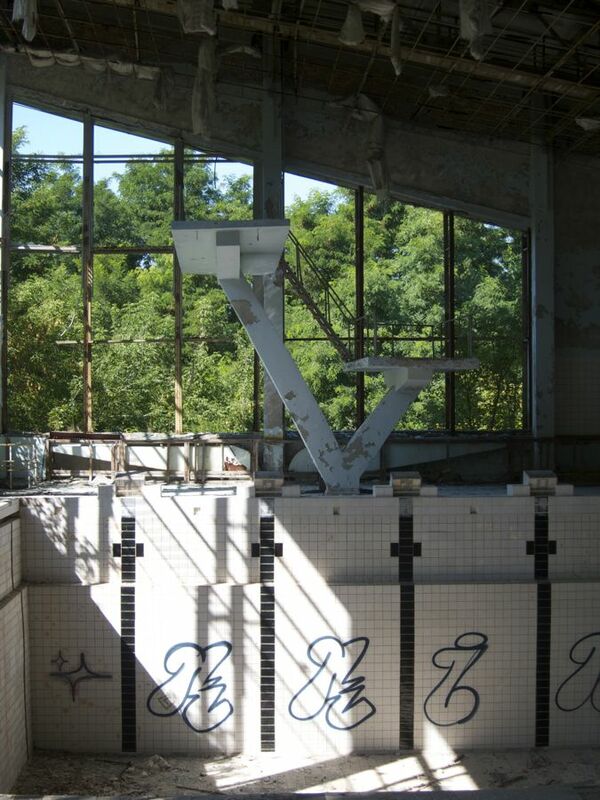 Reactor 3, which is only 50-100m from the destroyed Reactor #4, was the last to be shutdown in December 2000. It's just on off the left of the first picture in this section, just to the left of the big chimney. One thing I learned while I was here: it could have been much, much worse. And it nearly was. It was well known that the reactor melted down, and the resulting pressure blew the 1200 tonne cap off the reactor, spewing out a lot of local radiation (and radioactive dust), and some, but not a lot, of radioactive dust over western europe. What wasn't as well known is that something much, much worse nearly happened, and without the intervention of miners, firefighters and divers, it would have wiped out Minsk (300 miles away) and rendered most of western europe uninhabitable. The reason for this is the same as what happened with the Icelandic volcano. When the reactor overheated and blew, the workers flooded the reactor with water to try to cool it and stop it burning. This water went thru the reactor and sat in the basement - basically a large pool of water under the white-hot molten core, which was burning it's way thru the concrete seperating the two. I'm in two minds still about Nuclear power. In general, I think I like it. On one hand, aside form disasters and the disposal of waste, it's a non-polluting energy source, and one which has moved a long way in the last 20 years. But on the other hand, when it goes bad, it goes very bad. At least it does when an old power plant is damaged (both Chernobyl and Fukushima were built in the mid-late 1970's). But the alternatives are not working either. Coal and Gas are running out and have a measurable and destructive effect on the environment, even if it's a slow one. Coal even releases more radioactivity into the atmosphere than nuclear does (if it's working properly). Wind and solar are all very well, but neither is currently scaling enough to provide the world with it's power needs. Wind is also too irregular, and so is solar. I think we need a total rethink of how we generate and consume electricity, with a massive move to reduction of use and a change of generation and storage habits. Hydrogen may be an option here (as it's useful for safe storage for later use), but there is no infrastructure for this yet. It's going to take a radical shortage to achieve a radical change. Personal power generation - putting panels on your roof for example - is good for your own power bill, but it's not going to power the planet. We don't even HAVE a roof. And while I want to live off the grid, without disconnecting from modern society - or all society - thats really only possible for my person, home use. I'm not sure I'm willing to give up transport, external food production, the internet and all the other things I don't directly control, but all which require a vast network of power generation. It's a problem, but there are no solid solutions yet. Just political posturing and talk, with no action. 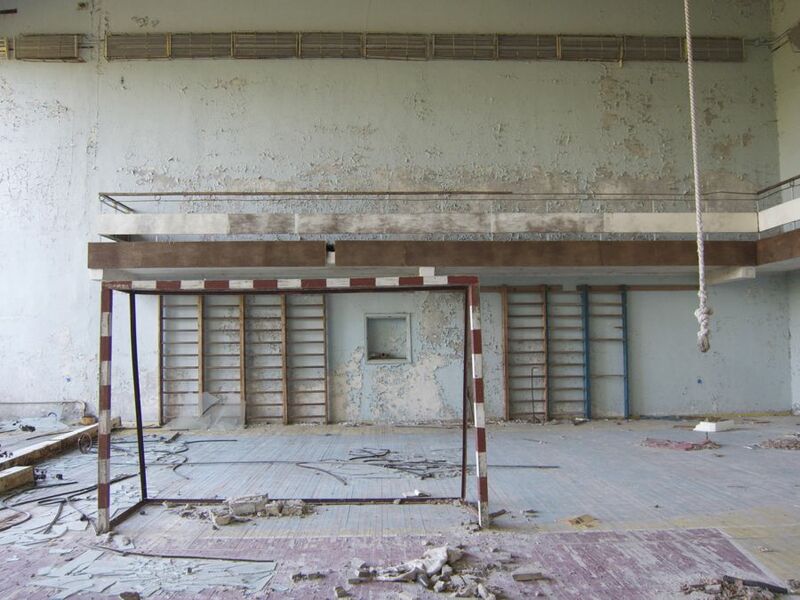 I have more photos up on Flickr, or both Kiev and Chernobyl.